If you’re coming to Pensacola Beach for the water, there’s no better place to stay than Villa Sabine Townhouses 504. 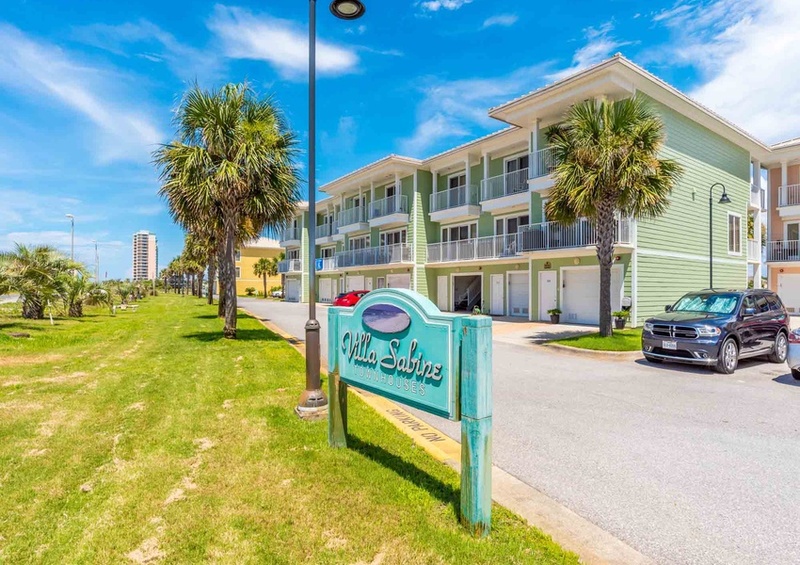 Whether you’re planning a friends’ getaway or a multi-family vacation, Villa Sabine Townhouses 504 has you covered. This Pensacola Beach townhouse features three bedrooms, three bathrooms, and sleeps up to nine guests. The main attraction of this vacation townhouse is its view of Little Sabine Bay and the Gulf of Mexico. Both the living room and master balcony overlook Little Sabine Bay. Meanwhile, the upstairs bedroom features a partial Gulf view of the dazzling emerald water. With four private balconies, you’ll have ample opportunity to bask in the Florida sunshine. Not to mention, this townhouse rental offers a kayak and paddle board to use in the serene shallow water of Little Sabine Bay. Boat and trailer parking are also available, and you can pull your boat right up to the back entrance of the townhouse. Meanwhile, the two car garage allows for comfortable parking. Inside, the open floor plan emphasizes the waterfront views. Enjoy family game night— a Wii gaming console is provided in the living room—against the backdrop of Florida’s natural paradise. Take advantage of the opportunity to plan meals in the fully equipped kitchen, or check out nearby restaurants. Less than a half mile away are local favorites like Margaritaville, Peg Leg Pete’s, and The Pensacola Beach Boardwalk, which features dozens of dining options. 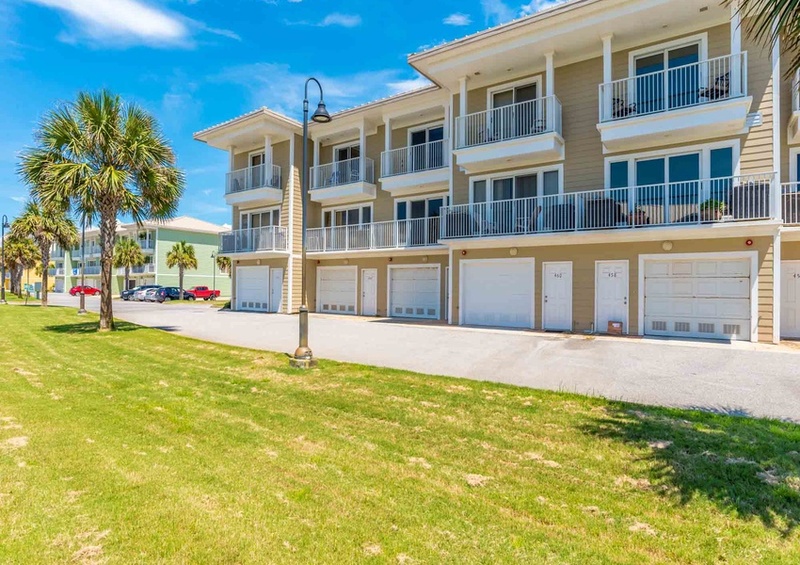 At Villa Sabine Townhouses 504, you’ll enjoy direct access to the bay, and close proximity to the beach and all of Pensacola Beach’s hot spots. Book your stay at Villa Sabine Townhouses 504 today.